Sty is a pus forming infection of sebaceous or sweat glands present at the base of the eyelashes. It usually resolves in 7-10 days but you can speed up the recovery. Eye stye or sty in eye is also known as "external hordeolum". It refers to an acute pus forming infection of the sebaceous glands (of Zeis) or the sweat glands (of Moll) present at the base of the eyelashes. Usually, the infection is caused by bacteria (Staphylococcus aureus). The most common symptoms of eye stye are pain and swelling of the lid. It is often associated with mild watering from the eye and abnormal sensitivity to light (photophobia). Other less common symptoms that can be present are burning in the eye, foreign body sensation in the eye, blurring of vision and discomfort during blinking. 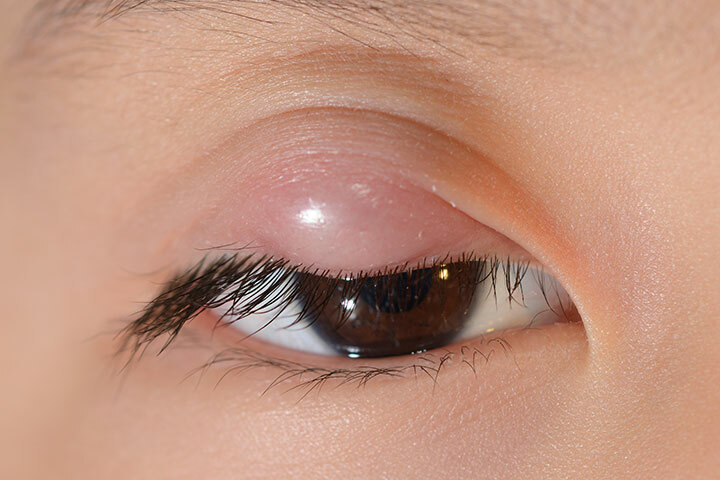 In eye stye, initially stage of cellulitis occurs. This stage is characterized by localized painful swelling at the lid margin. The stage of cellulitis is followed by the stage of abscess, characterized by appearance of visible pus point on the lid margin. Eye stye can be not only unsightly, but annoying and painful. In order to relieve and eliminate eye stye, you can take steps listed following. Heat application to the affected area may help reduce inflammation and offer some relief. It helps get any pus out of your affected eye, which accelerates the healing process. You can use a commercially made warm compress or you can simply soak a clean cloth in hot water and place it over the affected area. Just ensure that the water is not very hot. Also, apply the compress for at least 5-10 minutes at a time. You have to repeat it at least thrice a day for relief. Keeping the affected area clean is of immense importance and that is when you can use a mixture of water and soap. You can also add some of tear-free baby shampoo to warm water and use it to clean your eyelids with a clean washcloth. Be sure to do it daily until the stye is no longer visible. Regular cleaning also prevents formation of new styes. Instead of soapy water, you can also use a saline solution to clean your eyelid and prevent bacterial infections. 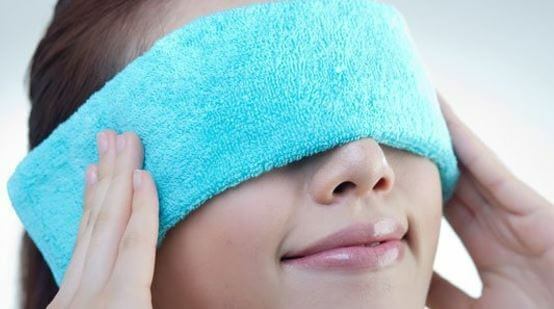 The idea is to apply some heat to the area to get puss out of your stye. You can use a black tea bag for this purpose because it has antibacterial properties as well. Simply place a teabag in boiled water and let it steep for a couple of minutes. Get the teabag out and let it cool down a bit. Now, place it over your affected eye for 5-10 minutes. 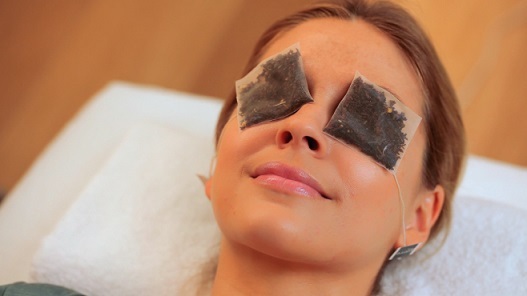 Never use the same teabag on both eyes. While your eye stye is still healing, you should avoid wearing any makeup. In fact, it is better to avoid wearing your contact lenses for a while. Makeup and lenses can irritate your eye and hamper the healing process. Also, you can infect your lenses and re-infect your eye when you wear them again after your eye stye has healed completely. It is better to wear glasses until you feel better or the infection has cleared completely. You should also wash your brushes and other items regularly to avoid transferring to those tools. If the pus point is formed (stage of abscess), treatment is evacuation of the pus by epilating the involved cilia. Surgical drainage of the pus is necessary if the formed abscess is very large. To control infection, antibiotic eye drops 3-4 times a day and antibiotic eye ointment during bedtime should also be applied. NSAIDs (like acetaminophen) can also be used to relieve pain and reduce the inflammation. In case of recurring eye stye, treatment of the associated predisposing condition is also important. For e.g. if eye stye is occurring repeatedly due to diabetes mellitus, then better control of blood glucose levels is warranted to reduce the recurrence of eye stye. No attempt should be made to squeeze or prick the eye stye to remove the pus. This may result in spread of infection to the adjacent areas. Eye makeup and contact lenses should also be avoided when suffering from eye stye. Adequate personal hygiene is the most important preventive measure. Sharing of personal items (towels, pillows, cosmetic items, etc.) with a person affected with eye stye should be avoided. Frequent rubbing of eyes (if itching) should be avoided and itching or irritation in the eye should be adequately treated with antibiotic eye drops.